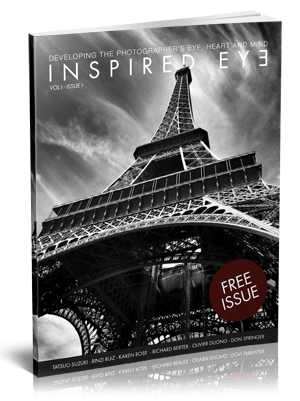 The inaugural issue of Inspired Eye has been well received by critics and readers alike. It features interviews with Rinzi Ruiz, Tatsuo Suzuki, Karen Rose along with photo essays from Olivier Duong and Richard Berter and more. 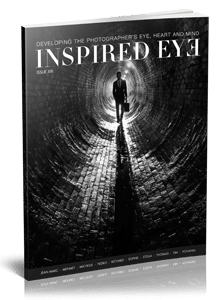 Included are the recurring columns about street photography “In the Streets with Streetshooter” and the design of photographs “The Inspired Frame”. Please note that subsequent issues are double in content.